As special counsel Robert Mueller’s meandering “witch hunt” of an investigation continues to produce no evidence of criminality on the part of President Donald J. Trump, a Texas lawmaker has released a detailed report outlining the former FBI director’s history of prosecutorial misconduct. “Robert Mueller has a long and sordid history of illicitly targeting innocent people that is a stain upon the legacy of American jurisprudence. He lacks the judgment and credibility to lead the prosecution of anyone,” begins the report, “Robert Mueller: Unmasked,” by U.S. Rep. Louie Gohmert, a Republican. Gohmert’s report notes further that Mueller has a history of ‘railroading’ people with “manufactured” charges, a pattern he says is repeating itself in the investigation of the president and all the president’s allies. “Judging by Mueller’s history, it doesn’t matter who he has to threaten, harass, prosecute or bankrupt to get someone to be willing to allege something—anything—about our current President, it certainly appears Mueller will do what it takes to bring down his target, ethically, or unethically, based on my findings,” Gohmert wrote. The Texas congressman’s report stands in stark contrast to the praise and adulation lauded on Mueller by ‘official’ Washington. We’re told almost daily about how his reputation is stellar, his integrity irreproachable, and his intentions pure and unmotivated by politics. But then, if those descriptions of his character were accurate, why hasn’t Mr. Integrity voluntarily ended his fruitless investigation after spending nearly a year and millions of dollars looking for evidence of a non-existent crime (since we know there was no “Russian collusion” and that the allegations originated from a fabricated political opposition research document, the infamous “dossier”)? The fact is, Robert Mueller was put on this investigation precisely because of his long, checkered background of fabricating charges in order to legally entrap innocent people. And any Republican lawmaker who talks up Mueller as some good guy with a stellar reputation either wants Trump tangled up in a legal mess so he can be successfully removed from office, is willfully ignorant of Mueller’s past, or is trying to curry favor with Democrats for a favorable Senate confirmation vote someday, Gohmert — a former state judge — said. “There is simply too much clear and convincing information available to the contrary,” he writes. Set in the 1980s, this is where Mueller’s reputation for fabricating evidence and manufacturing charges against innocent people really began. Mueller was head of the Criminal Division as an Assistant U.S. Attorney in Boston before becoming Acting U.S. Attorney. He appears to have conspired with two FBI agents to frame four Mafia figures for a murder in 1965 they did not commit. Mueller went to lengths writing to the Massachusetts parole board on a number of occasions to keep the four innocents in prison and to deny them clemency, all to protect the fact that another mob figure, Whitey Bulger, was working with the Feds against the Mafia. Two FBI agents working with him who were serving as Bulger protectors even went so far as to intimidate a parole board member, Mike Albano, and then go on to put his administration under investigation and scrutiny when he became mayor of Springfield, Mass. 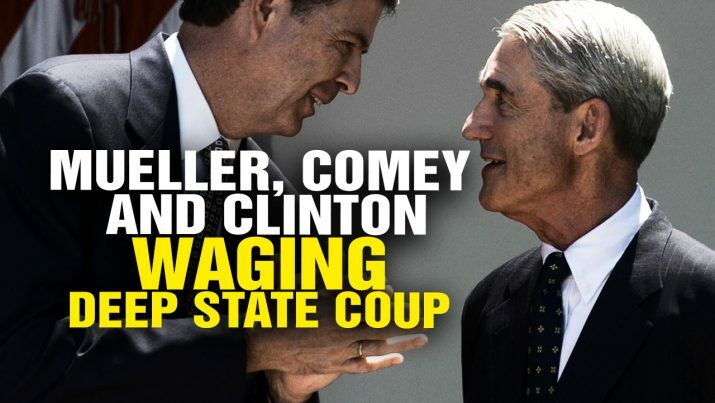 All of this “was part of a pattern that eventually became quite clear that Mueller was more concerned with convicting and putting people in jail he disliked, even if they were innocent of the charges, than he was with ferreting out the truth,” Gohmert wrote. Eventually two of the four men wrongfully incarcerated for years — two died in prison — received $100 million in taxpayer-funded compensation, but Mueller took no responsibility for that, Gohmert said. During Gohmert’s first term in the House (2005-06), U.S. Rep. Curt Weldon, R-Pa., was highly critical of the FBI for its failure to stop the 9/11 attacks after a covert Pentagon counterterrorism operation called “Able Danger” which identified Mohammad Atta, the alleged ringleader of the attacks, as early as 1999. Gohmert noted that when Weldon was making his allegations, Mueller was essentially silent on the matter, neither confirming that the FBI was culpable or denying the charges. But then, three weeks before the November elections in 2006, the FBI raided the homes of Weldon’s daughter, Karen Weldon, and a close political supporter, Charles Sexton, Jr., over allegations of an influence-peddling scheme involving a Russian oil company and Solutions North America, a lobbying firm headed by Karen. Those initial allegations stemmed from media reports in 2004, but no FBI investigation ensued and the House Ethics Committee found that Weldon was not in violation of any rules. Thanks to the perfectly-timed raids and the massive negative national media campaign they generated, Weldon lost his reelection bid. But here’s the thing: There was no follow-up after the raids, no questions, no grand jury convened — and no charges filed. A year later, Gohmert writes, an agent from the local FBI field office near Philadelphia called Karen Weldon to come pick up her property that had been confiscated in the earlier raid. The Texas congressman also notes that such targeting likely took place with the knowledge of the sitting president — at the time George W. Bush — just as it is likely that President Obama was fully aware of the spying operation against Team Trump. Gohmert says Mueller’s pattern of abusive behavior is also evident in the way he is conducting his probe and the people he has retained to help him. “I was one of the few who were NOT surprised when Mueller started selecting his assistants in the Special Counsel’s office who had reputations for being bullies, for indicting people who were not guilty of the charges, for forcing people toward bankruptcy by running up their attorney’s fees (while the bullies in the Special Counsel’s office enjoy an apparently endless government budget), or by threatening innocent family members with prosecution so the Special Counsel’s victim would agree to pleading guilty to anything to prevent the Kafka-esque prosecutors from doing more harm to their families,” he wrote. Read more about Deep State corruption at DeepState.news. Follow the criminal actions of Robert Mueller at RobertMueller.news.